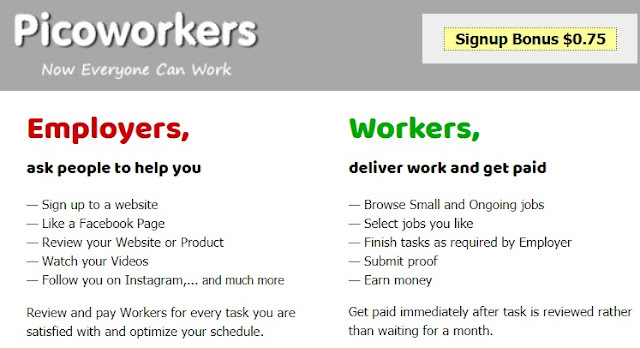 Picoworkers Review 2019 - Is PicoWorkers Scam or Legit? Picoworkers is a recently launched website that has been providing micro jobs and mini tasks to workers and for now, it is working great and people earning well here. If you are also concerned to increase your income via doing simple tasks like posting comments and reviews, liking the pages on social networking sites, survey completion, and writing short notes you are at the right place. Picoworkers is a platform of crowd-sourcing that connects different people and companies who wants their work to fulfill and provide workers who complete these tasks and get paid accordingly. It can be an ongoing opportunity or a part-time job as well depends on you how you tackle it. When you sign up at Picoworkers it gives you $2 as a bonus point that you can spend on your posts or other tasks. Picoworkers are similar to Rapidworkers or Microworkers the only difference is that it is newly launched and others are old competitors of this arena. There are different kinds of task available to Picoworkers that a worker has to complete in the given deadline. There are two kinds of people available at this site one is an employer and other is a worker. Employers are the individual or the groups of people who want their work completed accurately and within the deadline and they pay you as decided. Workers are the persons who are looking for some work and want to earn some money so they find suitable jobs and complete this. One can become an employer or worker at the same time. There are no charges for posting a job at Picoworkers. Employer and worker both have the right to reject or cancel the task. Many people are connecting with the site and earning well. How to earn via Picoworkers? First of all, create your account on Picoworkers and sign up which is totally free. After registration you will see two types of jobs column, one is small jobs and other is ongoing jobs. 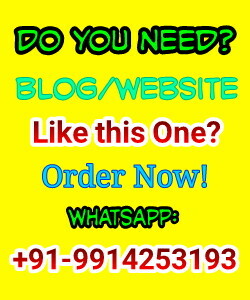 Like pages on popular networking sites, like Facebook, Twitter etc. Downloading apps and installing them. YouTube subscription and posting comments. Write reviews and sign up to different sites. The ongoing tasks are the jobs that take some time in completion but it pays you well. It includes writing content or a blog for any website, promoting a webpage, creating a webpage, creating a banner or a logo, commenting and writing reviews on web pages and sites and many more. Well, if you are a skilled one and know how to satisfy the needs of a client then you can earn well in a month. It depends on person to person if you are only doing small jobs the earning can be low and you can earn $30 to $35 in a month. On the other side, if you are doing ongoing tasks regularly then the payment can be increased. With that, your location also matters a lot from which country you belong to. The ongoing jobs like creating a simple website can give you $10 and so on you can make money. Withdrawing the payment is little frustrating because you have to upload a picture proof and one ID as a proof and the processing takes time of 1 week or more than that after that you can able to withdraw your money. Clixsense Review- Is Clixsense Scam or Legit? Like every site, Picoworkers has also good and bad aspects and you should be aware of all of them. There are no any pre-test or eligibility criteria’s available you can start your work instantly. There are many payment methods at Picoworkers available so you can have multiple options. You need only $5 for withdrawal which is a minimum amount and can be attained in a short time period. There is a lack of employers and without them; there is a lack of small jobs that affect earning sometimes you have to wait for a long time to get a job. The website is newly launched so not much popular and less-reliable. Uploading picture and identity proof is an irritating task and wastage of your precious time. Sometimes you get your payment after a month or more than that which is also so frustrating. You can’t choose this as a regular working site if you have no ongoing projects in your hands. For now, I must say that Picoworkers is not a scam because it is paying to people. I can’t predict about the future and how it would work in the future but for now it is a good way to make money. There are many advantages and disadvantages exist of this site so you should give it a try to the newly launched site. You can earn extra bucks easily if you have such talent. On the other side, if you don’t know how to deal with a client or how to tackle the situation then it is better not choose it. We hope this information helps you and share your reviews and experience with us or if you have any query then feel free to ask here. Message: I hope that you have enjoyed 'Picoworkers Review 2019 - Is PicoWorkers Scam or Legit?' article on Tips2secure. However, if you want me to deliver more items, then please share my post. You can use Social Sharing Widget provided at the end of every post. After all, Sharing is Caring!